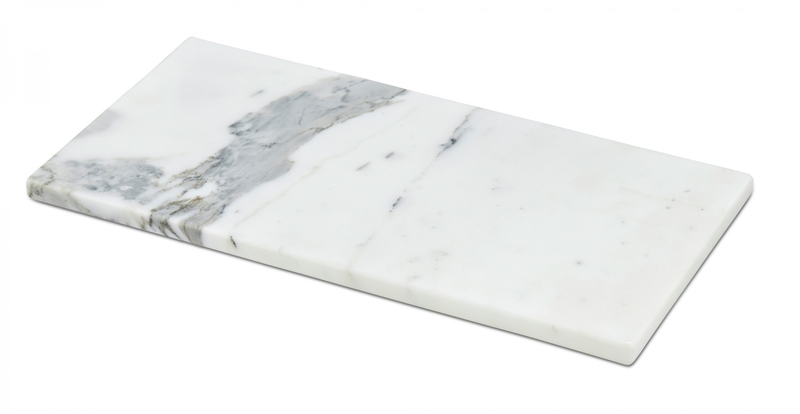 A rectangular marble chopping board that will also look beautiful on the table. Chop Chop comes in two sizes. Marble is not resistant to acidic foods. Avoid cutting lemons etc. on the chopping board. Wash the cutting board by hand, with warm water and a little dishwashing soap (pH- neutral). Dry the board after washing. You may treat the board with soap flakes once in a while, for maintenance. No dishwashing.